On September 17–19, 2016, three bombs exploded and several unexploded ones were found in the New York metropolitan area. The bombings left 31 people wounded, but no fatalities or life-threatening injuries were reported. New York City Mayor Bill de Blasio and State Governor Andrew Cuomo tour the site of the Manhattan bombing. Seaside Park, New Jersey, U.S.
Chelsea, Manhattan, New York, U.S.
Seaside Park bombing: September 17, 2016, 9:30 a.m.
Manhattan bombing: September 17, 2016, 8:31 p.m.
Elizabeth bombs discovered: September 19, 2016, c. 12:40 a.m.
On the morning of September 17, a pipe bomb exploded in Seaside Park, New Jersey. Later that day, a homemade pressure cooker bomb went off in the Chelsea neighborhood of Manhattan, New York City. A second pressure cooker bomb was discovered four blocks away. Late on September 18, multiple bombs were discovered at the train station in Elizabeth, New Jersey. One of these bombs detonated early next day. On September 19, 2016, the sole suspect—Ahmad Khan Rahimi, of Elizabeth—was captured, following a shootout with police in neighboring Linden, New Jersey. Rahimi was not part of a terrorist group, but his actions were believed to have been influenced by the extremist Islamic ideology espoused by al-Qaeda. In 2017, Rahimi was convicted in U.S. federal court of eight federal crimes arising from the attack. On February 13, 2018, Rahimi was sentenced to a mandatory sentence of life without parole. In the morning of September 17, 2016, in Ocean County, New Jersey, the Seaside Semper Five, a 5k run event, was expected to draw as many as 3,000 people, with many of them being veterans of the United States Armed Forces. The race was delayed after a suspicious backpack was noticed in the vicinity of the starting point. At about 9:30 a.m., shortly before the race was supposed to start, a pipe bomb exploded in a trash can on Ocean Avenue in Seaside Park. Three "rudimentary" pipe bombs, all reportedly timed to go off during the race, were later found, with only one of the three having exploded. No one was hurt by this bombing, however. The race was canceled after the explosion, and the beach and boardwalk in Seaside Park were evacuated. Police officials and federal agents soon went door-to-door, asking residents about information regarding the bombs or any suspicious activity they may have seen, heard, or witnessed. 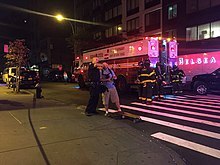 In the Chelsea neighborhood of Manhattan in New York City, on the same day as the Seaside Park bombing, a pressure cooker bomb filled with shrapnel, in the form of small bearings or metal BBs, exploded in a crowded area on West 23rd Street, between Avenue of the Americas and Seventh Avenue at 8:31 p.m. The explosion occurred in front of 133 West 23rd Street in the vicinity of a construction site, at which materials were in place for exterior renovations of the Visions at Selis Manor facility, an apartment building for the blind, at 135 West 23rd Street. Other nearby buildings included the Townhouse Inn of Chelsea, many restaurants, and a Trader Joe's at 21st Street and 6th Avenue. The Chelsea neighborhood is residential, known for its nightlife, and is not close to any significant tourist sites or government buildings. Witnesses said that the explosion "seemed to have started inside a sidewalk dumpster" in the vicinity of Sixth Avenue, and photographs of a "twisted dumpster" in the middle of West 23rd Street went viral on Twitter. A law enforcement official speaking on condition of anonymity stated that the explosion "appeared to have come from a construction toolbox" in front of a building, and photographs of the area reportedly showed a twisted, crumpled black metal box. A police officer instructs a civilian, as other police and fire crews work near the scene of the bomb explosion. The explosion "was powerful enough to vault a heavy steel dumpster more than 120 feet through the air ... Windows shattered 400 feet from where the explosion went off, and pieces of the bomb were recovered 650 feet away." The explosion caused damage to a nearby five-story brownstone, and debris was strewn in front of the St. Vincent de Paul Church. The moment of the blast was captured on closed-circuit television footage from three cameras. Thirty-one civilians were injured, 24 of whom were taken to four hospitals. Most injuries were scrapes and bruises caused by flying debris and glass. None of the injuries were life-threatening, but one victim sustained a puncture wound and was seriously hurt. Nine of the injured were taken to Bellevue Hospital, including the seriously injured civilian. Lenox Health Greenwich Village treated another nine victims. By the following morning, all of the injured had been released. The explosion disrupted travel in Manhattan extensively. A significant zone (14th Street to 34th Street between Fifth Avenue and Eighth Avenue) was closed to car travel overnight. By 7:00 a.m. the following morning, all roads in that region were reopened except for West 23rd Street. New York City Subway service to stations along West 23rd Street was disrupted while the investigation was ongoing. Following the explosion, officers began a block-by-block search for additional unexploded bombs. Several hours later, police received a 9-1-1 call from a resident of West 27th Street who had seen a suspicious-looking package near her home. The device was under a mailbox at West 27th Street between Sixth and Seventh Avenues, four blocks away from the site of the original blast. When authorities came to look, two state troopers discovered the pressure cooker bomb concealed in a plastic bag and connected with dark wiring to a mobile phone. The bomb was filled with small bearings or metal BBs. The pressure cooker bomb was described as similar to those used in the Boston Marathon bombing. The New York City Police Department (NYPD) reported its find of a "possible secondary device" at 11:00 p.m. The bomb was removed by an NYPD bomb squad robot. The robot placed the bomb in a containment chamber, and the device was driven away at around 2:25 a.m. on September 18. Investigators obtained fingerprints and the mobile phone from the device. The bomb was driven to the NYPD's Rodman's Neck firing range in the Bronx, where it was rendered safe via a controlled explosion. The devices were to be sent to the FBI Laboratory in Quantico, Virginia, for further inspection. At around 8:00 p.m. on September 18, two men took a backpack they found atop a municipal garbage can at the Elizabeth train station in Elizabeth, New Jersey. One of the men, Lee Parker, was homeless and was looking for a backpack so he could go to a job search. His friend Ivan White had found the backpack above the garbage can. They were about 300 feet (91 m) from a busy pub's front entrance and about 500 feet (150 m) from a train trestle when they took the backpack. White and Parker looked into the backpack, discovered that the item contained wires and a pipe, and called 9-1-1 at around 8:45 p.m. The men, who were not held as suspects, were hailed as heroes in Elizabeth; a GoFundMe campaign in their name raised over $16,000 in donations. The Elizabeth Police Department was the first authority to respond to the men's 9-1-1 call. The investigation was soon turned over to the New Jersey Transit Police Department and the FBI, two county robots (Union and Essex) confirmed the devices were pipe bombs. One of these bombs was detonated at around 12:40 a.m. as the robots sought to disarm the devices. One robot was "damaged" by the blast. Authorities were working to disable the other devices. Following the bomb's accidental explosion, the station was evacuated. The surrounding area was put on lockdown, and service was suspended between the Newark Airport and Elizabeth stations for the day. New Jersey-bound trains from New York were held at Penn Station. Elizabeth Mayor J. Christian Bollwage said that it was unclear whether the train station was a specific target, or whether the bombs were dumped by someone looking to quickly get rid of them. The Elizabeth device was "similar in appearance" to the Seaside Park device. Police later theorized that the bomber, Ahmad Khan Rahimi, had thrown away the bombs in Elizabeth in an effort to hide the evidence because these bombs lacked detonators. The Federal Bureau of Investigation (FBI), the Joint Terrorism Task Force (JTTF), Homeland Security, and the Bureau of Alcohol, Tobacco, Firearms and Explosives (ATF) responded to the scene of the Chelsea bombing and were involved in the investigation, in addition to the New York City Fire Department (FDNY) and the NYPD. Initially, the Seaside Park and Manhattan bombings were investigated as separate incidents, but over a period of two days, the investigation yielded similarities between the two incidents, leading the investigators to determine that they were connected, and therefore that it was to be investigated as one overall composite terrorist act or endeavor, committed by the same person or party. Within hours after the attack, officials determined that the explosion was intentional, and ruled out the possibility of a natural gas explosion. Investigators did not immediately find evidence of a terrorism link, initially leaving open the possibility of arson or vandalism at the time. A link to terrorism was discovered in the following days. Both of the Manhattan bombs—the one that exploded and the second that was disabled—were of the same design, using pressure cookers filled with bearings or metal BBs that were rigged with flip phones and Christmas lights that set off a small charge of hexamethylene triperoxide diamine (HMTD), which served as a detonator for a larger charge of a secondary explosive similar to Tannerite. The FBI examined fingerprints from the undetonated West 27th Street pressure cooker bomb and its attached mobile phone. DNA evidence was also recovered. On September 19, the FBI traced the prints, as well as some pictures on the mobile phone, to Ahmad Khan Rahimi (see below). Though the explosives in all four incidents were of three different designs, the Department of Homeland Security found that the bomb-maker followed guidelines featured in Inspire, an online magazine published by al-Qaeda in the Arabian Peninsula. Investigators also said they believed the bomb-maker had cased the Chelsea neighborhood before the bombing there, and that he may have had an accomplice as he would have had to otherwise cover a lot of ground between the bombing sites in a relatively short amount of time. They were talking to witnesses who claimed to have seen Rahimi in the Chelsea area before the explosion. Several bomb ingredients were purchased by Rahimi on eBay between June 20 and August 10. 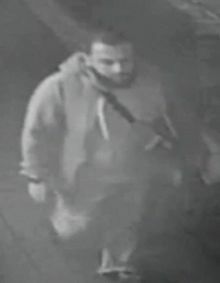 Investigators discovered surveillance video that showed a suspect planting a bomb, later identified as Rahimi, on West 23rd Street in Manhattan, then walking to West 27th Street dragging a duffel bag. The subject left the bag at West 27th Street. Later, two individuals took the pressure cooker bomb out of the bag and left the scene. Authorities determined that the two men who had taken the bomb out of the bag were, most likely, scavengers who had only wanted the duffel bag and did not know what they had been handling; in the process, they might have deactivated the bomb in the bag. The NYPD and FBI wished to talk with these men, who were considered possible witnesses but were not suspected in helping plant the bomb. Investigators later believed the men were possible Egyptian tourists who have since returned to their home country. U.S. investigators notified Egyptian authorities that they wanted to question the men. Late on September 18, the day after the Manhattan explosion, the FBI announced that five men, who were later found to be relatives of Rahimi, had been detained in connection with the investigation. The men were detained at about 8:45 p.m. at a traffic stop, which was being conducted by the FBI and NYPD on the Belt Parkway near the Verrazano-Narrows Bridge. An official speaking to The New York Times on condition of anonymity said, "We don't understand the target or the significance of it. It's by a pile of dumpsters on a random sidewalk." At a news conference the day following the Manhattan bombing, New York Governor Andrew Cuomo said that placing a bomb in a crowded city street was intrinsically a terrorist act, but that "there is no evidence of an international terrorism connection with this incident", while noting that the investigation was still in its early stages. An explosives expert, speaking anonymously, said the materials used in the bomb indicated that the bomb-builder had some knowledge of how to assemble the explosive device. A note found on the pressure cooker bomb left on West 27th Street referred to Anwar al-Awlaki (the Muslim cleric who became a senior member of al-Qaeda and was then killed by a U.S. drone strike), the Boston Marathon bombing, and the 2009 Fort Hood shooting. On September 20, investigators said that when Rahimi was arrested, he had a notebook in his possession in which he had written about Anwar al-Awlaki, the Boston Marathon bombers Tamerlan and Dzhokhar Tsarnaev, and Abu Mohammad al-Adnani, the spokesperson and a senior leader of ISIL. The notebook had bullet holes and blood stains. In the notebook, Rahimi wrote of "killing the kuffar", an Arabic term for unbelievers. According to authorities, Rahimi was not part of a terrorist cell, but was motivated and inspired by the extremist Islamic ideology espoused by al-Qaeda founder Osama bin Laden and al-Qaeda chief propagandist Anwar al-Awlaki. The criminal complaint filed against Rahimi states that Rahimi had a YouTube account in which he listed two jihadist propaganda videos as "favorites" alongside other, unrelated materials. use of destructive device during and in furtherance of a crime of violence. second-degree possession of a weapon for an unlawful purpose. Ahmad Khan Rahimi (born January 23, 1988), an Afghan American whose surname was initially reported as Rahami, came to the United States from Afghanistan in 1995, and was naturalized in 2011. He is a native Pashto speaker. His father, Mohammad Rahimi, came to the U.S. several years earlier seeking asylum. According to a neighbor, Rahimi's father, a Pashtun, had been part of the anti-Soviet mujahideen movement in Afghanistan, and was critical of the Taliban. The younger Rahimi may have as many as seven siblings. Before settling into the U.S., the Rahimi family fled from the then war-torn Afghanistan to Pakistan. In the U.S., they lived in a number of New Jersey towns before settling in Elizabeth. Rahimi graduated from Edison High School in 2008. From 2010 to 2012, he attended Middlesex County College in Edison, New Jersey, majoring in criminal justice with alleged aspirations of a future in law enforcement. He dropped out. Rahimi's friends described him as a generous person who was never devoutly religious and would invite his friends to eat and conduct rap battles at his family's fried chicken restaurant—First American Fried Chicken in Elizabeth, 15 miles (24 km) from New York City. To some, he was known as Mad, short for Ahmad. A classmate from Edison High described him as quiet, mild-mannered, well-dressed, and "not abrasive, [but] funny" whenever he spoke. In recent years, though, he seemed to be a "completely different person" who was more stern than before and less easygoing. Also, in elementary school, Ahmad's teacher complained to Mohammad that his son was "act[ing] like a king in class". Ahmad broke a friend's nose while in junior high. While at Edison High, he started a relationship with a classmate from the Dominican Republic, which culminated in them having a daughter together in 2007, during Rahimi's senior year. According to people close to the Rahimis, this upset Mohammad Rahimi, who refused to meet his granddaughter or the mother, and had been disapproving of the relationship due to expectations that his son would marry a cousin in Afghanistan. In March 2008, after returning from his first trip in Pakistan, he moved in with his girlfriend's family and got a job at a Kmart store. Rahimi's girlfriend later ended the relationship and sued him for child support. This reportedly depressed Rahimi, who subsequently returned to his family, and damaged his relationship with his father. The Rahimi family had a history of disputes with the City of Elizabeth over their restaurant's operating hours, claiming that the city was discriminating against them because of their ethnicity and because they were Muslim. They filed a lawsuit against the city in 2011, in which they alleged harassment and religious discrimination by police and officials who would force them to close early. Mayor J. Christian Bollwage said the longstanding issues were caused by a series of complaints from neighbors, who reported noise and large crowds gathering at the restaurant late at night. The city later barred all takeout restaurants, including the Rahimis', from operating past 10:00 p.m. In 2009, two of Rahimi's brothers were arrested for attempting to record a conversation with police, according to court papers. Rahimi lived above the restaurant with his family. In July 2016, Rahimi passed the required background check and legally purchased the Glock 9 mm handgun he used in the subsequent shootout, from a licensed dealer in Salem, Virginia. At one time, Rahimi was licensed to carry firearms. In August 2014, he, at that time living in Perth Amboy, New Jersey, was charged with aggravated assault and unlawful possession of a weapon in Union County. The charges arose from allegations that Rahimi had stabbed his brother in the leg, after the victim and another brother attempted to stop Rahimi from assaulting their mother and sister "for no apparent reason". Rahimi was reported by two of his siblings the next day and spent three months in the Union County Jail, but was reported to have bailed. A grand jury declined to make an indictment, and the charges were dropped on September 22. A "high-ranking law enforcement official with knowledge of the investigation" said Rahimi had spent two additional days in jail, one in February 2012 for allegedly violating a restraining order, and another in October 2008 for failure to pay traffic tickets. Rahimi's father Mohammad had tried to contact the FBI about his son around August 2014, but two months later, Rahimi was cleared by the FBI. One reason cited was that Mohammad had stated that he was merely angry over the August domestic incident when he reported his son, so he had denied his previous statement. In an interview with The New York Times, Mohammad claimed that he had seen his son watching videos made by al-Qaeda and the Taliban and asked him to stop. However, the FBI later said Mohammad never informed them of what he had seen. On September 20 — the day after his arrest — Rahimi's estranged ex-girlfriend, and the mother of his daughter, filed a petition in a New Jersey state court seeking full custody of the child, citing Rahimi as being a possible participant in "terrorist related activity" in New York City. She also filed to change her child's name, as well as to force the media not to contact her or her daughter. The petition for custody was granted the following day, though the request to change the daughter's name was denied, as was the request for media not to contact her, because "the court said it had no authority to grant the requests." Rahimi and the mother of his child had engaged in a long-running battle, as Rahimi owed her more than $3,000 in child support in 2015; she had previously gotten a restraining order against Rahimi. Rahimi, reportedly, went back to Afghanistan several times (including for an extended period starting in 2012), and "showed signs of radicalization" afterwards. The trips were reportedly arranged by Rahimi's pious father, who was concerned about his son being "too Americanized". Rahimi and members of his family also made several trips to Pakistan, where they had Afghan relatives living as refugees. According to a family friend, Rahimi claimed that his father took away his passport while he was sleeping and left him alone in a foreign country. Rahimi and a brother spent several weeks in the Pakistani cities of Quetta and nearby Kuchlak, as well as Kandahar, Afghanistan. At Quetta, which is home to a large population of Afghan immigrants and some Taliban members-in-exile, he was in an arranged marriage with a Pakistani woman, believed to be his cousin, in July 2011, and had a son with her in 2014. The son's fate is unknown. Rahimi also went under the wing of a local radical cleric, according to a close relative in Afghanistan. Following Rahimi's arrest, a spokesman for the Afghan Taliban said the group had no connection with him. In Kuchlak, Rahimi attended an Afghan-run Naqshbandi religious seminary closely associated with the Taliban movement, where he took lectures in Islamic education for three weeks. Rahimi remained in Pakistan from April 2013 to March 2014, and traveled to Afghanistan during the period. Following his near-year-long stay in the region, he underwent additional screening. On both occasions, he stated that he visited family members and was cleared by immigration and customs officials. The FBI did not find any signs of ties to terrorism during background checks. According to a childhood friend, Rahimi grew a beard, started wearing more religious clothing following his trips to Afghanistan, and began praying in the back of his family's restaurant. When the mobile phone from West 27th Street was examined, investigators found that Rahimi had posted jihadist writings on various websites. In addition, his handwritten journal was found, expressing a desire to become a martyr. However, it was "not known whether he had any links to an overseas terror organization, or whether he had been inspired by such organizations and their propaganda efforts, as others have been." One intelligence source said Rahimi may have been self-radicalized. In June 2016, Rahimi's wife left the United States, planning to return September 21. On September 19, following her husband's arrest, she was stopped by the United Arab Emirates authorities. Two days later, she returned to New York and was questioned by the investigators. The wife was cooperative and not accused of wrongdoing. After stopping the five men on the Verrazano-Narrows Bridge, FBI agents and Elizabeth police searched Rahimi's home in the early morning of September 18. The FBI asked for public assistance in detaining Rahimi for questioning in connection with the bombings in Manhattan and Seaside Park, as well as the attempted overnight bombing in Elizabeth. At 7:39 a.m. on September 19, the NYPD posted a "Wanted" poster of Rahimi on Twitter. Seventeen minutes later, the Wireless Emergency Alert system was used to send an alert message to the mobile phones of millions of people in New York City, marking the first time New York City used the emergency alert to search for a named suspect. The alert message read, "WANTED: Ahmad Khan Rahami, 28-yr-old male. See media for pic. Call 9-1-1 if seen." Mayor de Blasio said, "Anyone who sees this individual or knows anything about him or his whereabouts needs to call it in right away." Authorities said that Rahimi might be armed and dangerous. Law enforcement put him on some terror watchlists to prevent him from leaving the United States. Concurrently, authorities started searching Rahimi's home in Elizabeth. The New Jersey State Police released two tweets, one at 9:30 a.m. and the other at 10:56 a.m., both stating that Rahimi was wanted in connection with the Seaside Park and Elizabeth bombs. At around 10:30 a.m., a Linden bar owner was in a deli across the street from his bar, watching CNN, when he saw a man sleeping in the bar's doorway. He recognized the man as Rahimi from news reports and called 9-1-1, saying "the guy looks a little suspicious and doesn't look good to me." When three Linden police officers arrived fifteen minutes later and awoke the man, they realized that the man was Rahimi. An officer ordered Rahimi to show his hands. Rahimi disregarded the order, retrieved a Glock 9 mm handgun, and shot the officer in the abdomen, striking his bulletproof vest. The policeman returned fire and Rahimi fled, with police pursuing him. Rahimi fired back indiscriminately. He encountered a second policeman seated in his vehicle, and fired into the windshield; The officer was grazed in the head and struck by flying glass, then shot in the hand. None of the officers' injuries or conditions were serious. During the shootout, Rahimi was shot at least seven times, hit in his liver and an artery, and sustained a shoulder wound. Rahimi was finally arrested, shortly before noon, and transported to University Hospital by ambulance. He underwent numerous surgeries and was in critical but stable condition. The severity of Rahimi's injuries made his ultimate survival uncertain. Officer Angel Padilla was released from the hospital that night, and Officer Peter Hammer, shot while in his car, was released the next day. Following Rahimi's arrest, investigators said there was "no indication" he was part of a broader terror cell, nor that such a cell was "operating in the area." Rahimi was said to be initially uncooperative during interrogations. On September 20, Rahimi was charged in the U.S. District Court for the Southern District of New York in Manhattan, by criminal complaint, with four federal crimes including use of weapons of mass destruction (count one); bombing a place of public use (count two); destruction of property by means of fire or explosives (count three); and use of a destructive device during and in furtherance of a crime of violence (count four). On the same day, the U.S. District Court for the District of New Jersey in Newark charged him with use of a weapon of mass destruction (counts one and two), bombings of a place of public use and public transportation system (count three), and attempted destruction of property by means of fire or explosive (count four). On September 26, Rahimi's father and wife retained the American Civil Liberties Union (ACLU) to defend him on the federal charges. The ACLU represented Rahimi until he was given a federal public defender. An assistant federal public defender represented Rahimi at trial. On November 10, after Rahimi had been moved into federal custody in Manhattan, he made an initial appearance in the Manhattan federal court to face terrorism charges. Rahimi's lawyer said in court that Rahimi had eight to ten surgeries and had liver damage. Federal authorities argued that Rahimi was well enough to be in regular custody. On November 16, Rahimi was indicted by a federal grand jury in Manhattan on eight criminal counts including use of a weapon of mass destruction; attempted use of a weapon of mass destruction; bombing a place of public use; destruction of property by means of fire or explosion; attempted destruction of property by means of fire or explosion; interstate transportation and receipt of explosives; use of a destructive device during, and in furtherance of, a crime of violence (two counts). A day later, Rahimi pleaded not guilty on all of the charges before U.S. District Judge Richard M. Berman. In April 2017, the defense team filed a motion for a change of venue, requesting that the trial be held in Burlington, Vermont. They argued that the extensive pre-trial publicity in New York would prevent their client from getting a fair trial in Manhattan. The court denied this motion the following month. On October 16, 2017, after a two-week jury trial, Rahimi was found guilty of all eight charges in federal court in New York. The mandatory sentence is life without parole. Rahimi was removed from the courtroom during opening statements after making repeated outbursts. During the trial, the government introduced into evidence Rahimi's fingerprints and DNA on unexploded bombs and bomb debris; videotape of Rahimi pulling the luggage containing the bombs; and testimony from detectives, computer analysts, and others. The government also presented as evidence a journal carried by Rahimi at the time of his arrest that read: "Everything had to be done quietly and I had to lie to cover my tracks. The sounds of the bombs will be heard in the streets. Gun shots to your police. Death to your oppression." The government also presented evidence from Rahimi's Internet bookmarks, which included bomb-making guides that appeared in al-Qaeda propaganda. A juror interviewed following the verdict called the evidence of guilt overwhelming. Officials also stated that he tried to convert other jailers to extremist ideologies before and during the trial. On February 13, 2018, Rahimi was sentenced to life in prison without parole. On the night of September 19, Rahimi was charged in New Jersey Superior Court with five counts of attempted murder of a law enforcement officer in relation to the shootout in Linden. He was also charged with second-degree unlawful possession of a weapon and second-degree possession of a weapon for an unlawful purpose, both in relation to the handgun found in his possession. On October 13, after a delay caused by his ongoing recovery from gunshot wounds, Rahimi appeared, by teleconference, in New Jersey State Court to plead not guilty to the charges against him. On October 18, Rahimi was moved from the hospital to the New Jersey State Prison in Trenton. On November 10, ahead of hearings in his case, Rahimi was moved from the medical unit at Trenton State Prison to the Metropolitan Correctional Center in Manhattan. Governor Cuomo released a statement following the Manhattan bombing, saying, "We are closely monitoring the situation and urge New Yorkers to, as always, remain calm and vigilant." The day following the bombing, Cuomo and de Blasio toured the damage together. Hamdullah Mohib, Afghanistan's ambassador to the U.S., released a statement saying the Afghan government condemned the bombings and promising the country's cooperation with the investigation. In a statement, the Council on American–Islamic Relations welcomed the arrest of Rahimi, saying, "American Muslims, like all Americans, reject extremism and violence, and seek a safe and secure nation. Our nation is most secure when we remain united and reject the fear-mongering and guilt by association often utilized following such attacks." Security was boosted across New York City's five boroughs as a precaution. Cuomo said that, while there was no ongoing threat, he would deploy 1,000 additional National Guard troopers and State Police officers to major commuter hubs during the United Nations General Assembly meeting which began when the bombings were unfolding. In the two days following the Manhattan bombing, the NYPD received 406 phone calls reporting suspicious packages in the city. None were found to contain bombs. The Yelp listing for a chicken restaurant owned by Rahimi's family was review bombed in retaliation for the attack. ^ a b c d e f g h i j k l m n Mele, Christopher; Baker, Al; Barbaro, Michael (September 17, 2016). "Powerful Blast Injures at Least 29 in Manhattan; Second Device Found". The New York Times. Retrieved September 17, 2016. ^ a b Davis, Tom (September 18, 2016). "Pipe Bomb Explodes Along 5K Seaside Park Racecourse on Jersey Shore". Patch.com. Retrieved September 18, 2016. ^ a b Perez, Evan; Procupecz, Simon; Newsome, John (September 18, 2016). "Blast near Marine Corps race in New Jersey probed as possible terror act". CNN. Retrieved September 18, 2016. ^ "Beaches reopened but lots of questions after Jersey Shore explosion". Fox29.com. September 18, 2016. Retrieved September 19, 2016. ^ "Seaside Park beaches reopen after pipe bomb blast". News 12 New Jersey. September 19, 2016. Archived from the original on October 14, 2016. Retrieved September 18, 2016. ^ a b c d e f g h Santora, Marc; Rashbaum, William K.; Baker, Al; Goldman, Adam (September 18, 2016). "Manhattan Bombs Provide Trove of Clues; F.B.I. Questions 5 People". The New York Times. Retrieved September 18, 2016. ^ Zauderer, Alyssa; Mannarino, Dan (September 18, 2016). "Surveillance videos from Chelsea gym show terrifying moment bomb detonates". WPIX-TV. Retrieved September 18, 2016. ^ a b c d Workman, Karen; Rosenberg, Eli; Mele, Christopher (September 18, 2016). "Chelsea Explosion: What We Know and Don't Know". The New York Times. Retrieved September 18, 2016. ^ a b c Bump, Philip; Berman, Mark; Wang, Amy B.; Zapotosky, Matt (September 18, 2016). "Explosion that injured 29 in New York 'obviously an act of terrorism,' governor says". The Washington Post. Retrieved September 18, 2016. ^ a b c d e "Investigation underway into NYC explosion that injured 29". Mercury News. Associated Press. September 18, 2016. Retrieved September 18, 2016. ^ a b "De Blasio: Dozens injured in Manhattan explosion". Newsday. September 17, 2016. Retrieved September 17, 2016. ^ "Several injured in 'intentional' New York explosion". Today. September 18, 2016. Archived from the original on September 18, 2016. Retrieved September 18, 2016. ^ a b c d e f g Santora, Marc; Goldman, Adam (September 21, 2016). "Ahmad Khan Rahami Was Inspired by Bin Laden, Charges Say". The New York Times. ISSN 0362-4331. Retrieved September 21, 2016. ^ a b c d Sandoval, Edgar; Hensley, Nicole; Otis, Ginger Adams; Parascandola, Rocco; Schapiro, Rich (September 18, 2016). "Explosive fireball rattles Chelsea street injuring 29, secondary pressure cooking device found blocks away". The New York Daily News. Retrieved September 18, 2016. ^ a b Shallwani, Pervaiz; Vilensky, Mike (September 18, 2016). "'Intentional' Explosion in Chelsea Neighborhood of New York Injures Dozens". The Wall Street Journal. Retrieved September 18, 2016. ^ a b c d Simon, Mallory; Hume, Tim (September 17, 2016). "New York explosion that injured 29 was 'intentional act,' mayor says". CNN. Retrieved September 17, 2016. ^ a b Dienst, Jonathan; Winter, Tom; Esposito, Richard; Saliba, Emmanuelle; Helsel, Phil; Fieldstadt, Elisha (September 18, 2016). "'An Act of Terrorism': Investigators Hunting for Clues in NYC Bomb That Injured 29". NBC News. Retrieved September 18, 2016. ^ Mele, Christopher (September 18, 2016). "Explosion Causes Extensive Disruptions to Travel in Manhattan". The New York Times. ISSN 0362-4331. Retrieved September 18, 2016. ^ a b c Golstein, Joseph (September 18, 2016). "How Police Found Second Bomb, and a 'Total Containment Vessel' Hauled It Away". The New York Times. Retrieved September 18, 2016. ^ Hurowitz, Noah (September 19, 2016). "Woman Who Found Second Bomb in Chelsea Thought It Was a Science Experiment". DNAinfo New York. Archived from the original on September 27, 2016. Retrieved September 25, 2016. ^ Cohen, Noah (September 17, 2016). "NYC blast believed to be 'intentional act,' mayor says". NJ.com. Retrieved September 17, 2016. ^ a b Perez, Evan; Prokupecz, Shimon (September 18, 2016). "New York bombing: Investigators search for suspects, motive". CNN. Retrieved September 18, 2016. ^ a b c d e f g h i j k l Perez, Evan; Prokupecz, Shimon; Grinberg, Emanuella; Yan, Holly (September 19, 2016). "NY, NJ bombings: Suspect charged with attempted murder of officers". CNN. Retrieved September 19, 2016. ^ a b c d e f g h Weiss, Murray; Rizzi, Nicholas; Kapp, Trevor; Gardiner, Aidan (September 19, 2016). "Thieves Helped Crack the Chelsea Bombing Case, Sources Say". DNAinfo New York. Archived from the original on September 20, 2016. Retrieved September 19, 2016. ^ a b c d Almaguer, Miguel; Johnson, Alex; Winter, Tom; Dienst, Jonathan; Siemaszko, Corky (September 19, 2016). "Ahmad Rahami, Suspect in N.Y., N.J. Bombings, in Custody: Sources". NBC News. Retrieved September 19, 2016. ^ a b c d e f Schweber, Nate; Bromwich, Jonah Engel (September 19, 2016). "Pipe Bombs Found Near Train Station in Elizabeth, N.J." The New York Times. Retrieved September 19, 2016. ^ a b Dienst, Jonathan; Siff, Andrew; Siegal, Ida; Creag, Katherine; Bordonaro, Lori (September 19, 2016). "Device Explodes Near Train Station in New Jersey as Authorities Probe Bag". NBC New York. Retrieved September 19, 2016. ^ a b "Man sought by FBI in N.J., NYC explosions worked in family eatery". NJ.com. September 19, 2016. Retrieved September 19, 2016. ^ a b c d "Homeless man, friend who found bombs in Elizabeth say they were 'just doing the right thing'". ABC7 New York. WABC. September 20, 2016. Retrieved September 21, 2016. ^ a b c d "Two Men Unlikely Heroes After Discovering Bag Of Pipe Bombs In Elizabeth". CBS New York. September 20, 2016. Retrieved September 21, 2016. ^ Dimon, Laura; Schapiro, Rich (September 21, 2016). "Online campaign raises more than $16G for two men that discovered backpack full of bombs at N.J. train station". The New York Daily News. Retrieved September 23, 2016. ^ "The Latest: Man Being Sought Lived in Apartment FBI Searched". Associated Press. September 19, 2016. Retrieved October 14, 2016. ^ "The Latest: Suspicious Device Checked at NJ Train Station". Associated Press. September 19, 2016. Retrieved October 14, 2016. ^ Hunt, Elle; Yuhas, Alan (September 18, 2016). "New York explosion: Cuomo says 'no evidence of international terrorism' – as it happened". The Guardian. Retrieved September 18, 2016. ^ Eversley, Melanie; McCoy, Kevin (September 17, 2016). "Big blast, 29 injuries in NYC; pressure cooker device removed nearby". USA Today. Retrieved September 17, 2016. ^ David, Javier E. (September 17, 2016). "NYC Mayor DeBlasio: Chelsea explosion 'intentional', but no immediate terror link". CNBC. Retrieved September 17, 2016. ^ a b c d e f g h i j k l m n o p Santora, Marc; Rashbaum, William K.; Baker, Al; Goldman, Adam (September 18, 2016). "Ahmad Khan Rahami Is Arrested in Manhattan and New Jersey Bombings". The New York Times. Retrieved September 19, 2016. ^ a b c d e f g h i j Nakashima, Ellen; Zapotosky, Matt; Berman, Mark (September 20, 2016). "The FBI looked into suspected bomber Ahmad Rahami in 2014 and found no 'ties to terrorism'". The Washington Post. Retrieved September 29, 2016. ^ Greenemeier, Larry (September 19, 2016). "Chemicals Could Be a Key in Investigating the New York and New Jersey Bombings". Scientific American. Retrieved September 28, 2016. ^ Silverstein, Jason (September 25, 2016). "Ahmad Rahami may have followed bomb-making tips from Al Qaeda magazine, memo shows". The New York Daily News. Retrieved September 28, 2016. ^ a b "NYC bombing suspect's family may have also had pro-jihadist views". CBS News. September 23, 2016. Retrieved September 30, 2016. ^ a b c "New York City bombing suspect may have cased Chelsea before blast". CBS News. September 22, 2016. Retrieved September 30, 2016. ^ "Feds: Ahmad Khan Rahami bought bomb ingredients on eBay". CBS News. September 20, 2016. Retrieved September 30, 2016. ^ a b Parascandola, Rocco; Durkin, Erin; Otis, Ginger Adams (September 18, 2016). "Authorities hunt for terrorists who caused Chelsea explosion and planned to detonate second bomb". New York Daily News. Retrieved September 18, 2016. ^ Celona, Larry; Musumeci, Natalie (September 19, 2016). "Two scavengers took second bomb out of suitcase in Chelsea". New York Post. Retrieved September 19, 2016. ^ Weiss, Murray (September 27, 2016). "Two Men Who Took Chelsea Bomb Suitcase May Have Left Country, Sources Say". DNAInfo. Archived from the original on September 28, 2016. Retrieved September 28, 2016. ^ a b "Men who took bag holding bomb that failed to detonate in Manhattan ID'd as tourists". Chicago Tribune. Associated Press. September 28, 2016. Retrieved September 30, 2016. ^ Katersky, Aaron; Crudele, Mark; Levine, Mike; Caplan, David (September 18, 2016). "Sources: Up to 5 People in FBI Custody in Connection With NY Bombing, After Traffic Stop". Yahoo! GMA. Retrieved September 18, 2016. ^ Celona, Larry (September 18, 2016). "FBI detains 5 in connection to Chelsea bombing". The New York Post. Retrieved September 18, 2016. ^ a b Sandoval, Edgar; Marcius, Chelsia Rose; Rayman, Graham (September 19, 2016). "Cops arrest New Jersey resident Ahmad Khan Rahami, wanted for NYC and N.J. bombings, after he shoots police officer". The New York Daily News. Retrieved September 19, 2016. ^ Williams, Pete (September 20, 2016). "Note on Pressure Cooker Found in Manhattan Mentioned Boston Bombing, Sources Say". KWQC-TV. Archived from the original on September 21, 2016. Retrieved September 20, 2016. ^ "Investigators: Suspect wrote about Boston bombers, Anwar al-Awlaki". KUTV. Sinclair Broadcast Group. September 20, 2016. Retrieved September 20, 2016. ^ Mele, Christopher (September 20, 2016). "Ahmad Khan Rahami's YouTube Account Listed Jihad Videos, Complaint Says". The New York Times. Retrieved September 20, 2016. ^ a b c d Bendavid, Naftali; Audi, Tamara (September 23, 2016). "Ahmad Khan Rahami Took Long Path to Radicalization". The Wall Street Journal. Retrieved September 28, 2016. ^ a b "Criminal Complaint". United States v. Ahmad Khan Rahami. United States District Court for the Southern District of New York. September 20, 2016. Retrieved September 20, 2016. ^ a b "Criminal Complaint". United States v. Ahmad Khan Rahami. 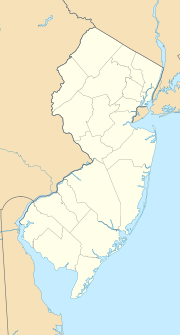 United States District Court for the District of New Jersey. September 20, 2016. Retrieved September 20, 2016. ^ a b c d e f "Bombing Suspect Ahmad Khan Rahami Captured in Linden, Charged With 5 Counts Attempted Murder". WABC-TV. September 19, 2016. Retrieved September 19, 2016. ^ Withnall, Adam; Osborne, Samuel; Revesz, Rachel; Carissimo, Justin (September 19, 2016). "Ahmad Khan Rahami: Suspect held on five attempted murder charges of cops and $5.2 million bail – live updates". The Independent. Retrieved September 19, 2016. ^ a b c d "Suspect In Chelsea, Seaside Park Explosions Ordered Held; Investigators Say 'No Indication' Of Broader Cell". CBS Local. September 19, 2016. Retrieved September 19, 2016. ^ a b c d e f g h Shoichet, Catherine E. (September 19, 2016). "Ahmad Khan Rahami: What we know about the bombing suspect". CNN. Retrieved September 19, 2016. ^ a b c Sanchez, Ray (October 13, 2016). "Bombing suspect Ahmad Khan Rahimi pleads not guilty". CNN. Retrieved October 13, 2016. ^ a b Ax, Joseph (October 13, 2016). "Accused New York bomber pleads not guilty from hospital bed". Reuters. Retrieved October 13, 2016. ^ a b Ross, Brian; Schwartz, Rhonda; Levine, Mike; Wash, Stephanie; Hayden, Michael Edison; Gallagher, JJ; Shapiro, Emily (September 19, 2016). "Details Emerge About NYC Bomb Suspect Ahmad Khan Rahami". ABC News. Retrieved November 27, 2018. ^ a b c d e f g h Barker, Kim; Shah, Pir Zubair; Goldstein, Joseph; Silver-Greenberg, Jessica (September 24, 2016). "Journey From Class Clown to Suspect in Chelsea Bombing". The New York Times. Retrieved September 30, 2016. ^ a b c d e f Kleinfield, N. R. (September 19, 2016). "Ahmad Rahami: Fixture in Family's Business and, Lately, a 'Completely Different Person'". The New York Times. ISSN 0362-4331. Retrieved September 19, 2016. ^ a b c d Arkin, William; Johnson, Alex; Siemaszko, Corky; Connor, Tracy; Bailey, Chelsea; Bratu, Becky (September 19, 2016). "Ahmad Rahami: What We Know About N.Y., N.J. Bombings Suspect". NBC News. Retrieved September 19, 2016. ^ a b c d Bronstein, Scott; Griffin, Drew (September 21, 2016). "Ahmad Rahami's lifelong feud with family and identity". CNN. Retrieved September 30, 2016. ^ a b c Dickson, Caitlin (September 19, 2016). "Ahmad Khan Rahami high school classmate recalls bomb suspect as 'funny'; calls allegations 'shocking'". Yahoo! News. Retrieved September 19, 2016. ^ a b c d e Demick, Barbara (September 25, 2016). "New York bombing suspect was at home in the American melting pot – until he met a girl named Maria". The Los Angeles Times. Retrieved September 30, 2016. ^ Sandoval, Edgar; Silverstein, Jason (September 19, 2016). "Ahmad Khan Rahami's family claimed anti-Muslim harassment over their fast food restaurant". The New York Daily News. Retrieved September 19, 2016. ^ Stirling, Stephen (September 19, 2016). "Bombing suspect Ahmad Khan Rahami's family sued Elizabeth for anti-Muslim harassment". NJ.com. Retrieved September 19, 2016. ^ a b Ingram, David; Ax, Joseph (September 19, 2016). "New York bomb suspect's family clashed with New Jersey city over restaurant". Yahoo! News. Reuters. Retrieved September 19, 2016. ^ a b c d e Merle, Renae; Zapotosky, Matt; Wang, Amy B.; Berman, Mark; Nakashima, Ellen (September 19, 2016). "Suspect in N.Y., N.J. bombings arrested after shootout; FBI says 'no indication' of terror cell". The Washington Post. Retrieved September 19, 2016. ^ a b Nakashima, Ellen; Berman, Mark; Wan, William (September 21, 2016). "Ahmad Rahami, suspected New York bomber, cited al-Qaeda and ISIS, officials say". The Washington Post. Retrieved September 21, 2016. ^ a b Haydon, Tom (September 28, 2016). "Details emerge of Ahmad Khan Rahami's alleged history of violence toward family". NJ.com. Retrieved September 28, 2016. ^ Connor, Tracy (September 20, 2016). "Bomb suspect Ahmad Rahami's ex-girlfriend awarded custody of their child". NBC News. Retrieved September 21, 2016. ^ Pillets, Jeff (September 21, 2016). "Edison woman awarded custody of child with accused bomber". NorthJersey.com. Retrieved September 21, 2016. ^ a b c d Siddique, Haroon; Pengelly, Martin; Yuhas, Alan (September 20, 2016). "New York bombings: Ahmad Khan Rahami charged with attempted murder – as it happened". The Guardian. Retrieved September 20, 2016. ^ a b c Boone, Jon (September 23, 2016). "Ahmad Khan Rahami spent time at Pakistan seminary tied to Taliban". The Guardian. Retrieved September 24, 2016. ^ Buncombe, Andrew (September 20, 2016). "Ahmad Khan Rahami: Bombing suspect's 'personality changed after visits to Pakistan and Afghanistan'". The Independent. Retrieved September 20, 2016. ^ a b Remo, Jessica (September 22, 2016). "Ahmad Khan Rahami's wife is back in U.S. for questioning". NJ.com. Retrieved September 22, 2016. ^ Ross, Brian; Christie, Megan (September 28, 2016). "New York bombing suspect's mother, brother detained in Afghanistan, father says". ABC News. Retrieved September 30, 2016. ^ Perez, Evan; Prokupecz, Shimon (September 22, 2016). "Investigators: Ahmad Rahami went to family home after Chelsea bombing". CNN. Retrieved September 23, 2016. ^ Shoichet, Catherine E.; Prokupecz, Shimon; Perez, Evan (September 20, 2016). "Ahmad Khan Rahami's wife left US before bombings". CNN. Retrieved September 20, 2016. ^ a b c d e Willingham, AJ (September 19, 2016). "The amazingly quick capture of Ahmad Rahami". CNN. Retrieved September 19, 2016. ^ a b Goodman, J. David; Gelles, David (September 19, 2016). "Cellphone Alerts Used in New York to Search for Bombing Suspect". The New York Times. Retrieved September 19, 2016. ^ a b "New York bombing suspect named as Ahmad Khan Rahami". BBC News. September 19, 2016. Retrieved September 19, 2016. ^ Richmond, Kait (September 20, 2016). "Sikh man who found bombing suspect: 'I did what every American would have done'". CNN. Retrieved September 24, 2016. ^ a b c Haydon, Tom; Remo, Jessica (September 19, 2016). "'We caught a terrorist' says proud new Linden chief". NJ.com. Retrieved September 20, 2016. ^ Remo, Jessica (October 14, 2016). "The case against accused bomber Ahmad Khan Rahimi: Here's what happens next". nj.com. Retrieved October 16, 2016. ^ McCarthy, Craig (September 23, 2016). "Ahmad Khan Rahami shot at least 7 times in Linden arrest, authorities say". NJ.com. Retrieved September 24, 2016. ^ a b Chasan, Aliza (November 10, 2016). "Chelsea bombing suspect appears in Manhattan Federal Court for first time". PIX11. Retrieved November 10, 2016. ^ Perez, Evan; Prokupecz, Shimon; Wills, Amanda; Grinberg, Emanuella (September 21, 2016). "New York bombing: Investigators seek 2 witnesses". CNN. Retrieved September 22, 2016. ^ Williams, Pete (October 13, 2016). "Bombing Defendant, Ahmad Khan Rahimi, Charged with Attempted Murder". NBC News. Retrieved October 16, 2016. ^ "Officers hurt in bombing suspect's takedown released from hospital". PIX11. Associated Press. September 20, 2016. Retrieved September 30, 2016. ^ Zauderer, Alyssa; Choudhury, Narmeen (September 20, 2016). "Federal charges filed against Chelsea, NJ bombing suspect Ahmad Khan Rahami". PIX11. Retrieved September 20, 2016. ^ Weiser, Benjamin; Rosenberg, Eli (September 27, 2016). "Ahmad Khan Rahami's Father and Wife Retain A.C.L.U. to Defend Him". The New York Times. Retrieved September 28, 2016. ^ Associated Press, Chelsea bombings: Ahmad Khan Rahimi found guilty in NYC bombings that hurt 30 (October 16, 2017). ^ Raymond, Nate (November 10, 2016). "Accused New York bomber faces charges in federal court". Reuters. Retrieved November 10, 2016. ^ Neumeister, Larry (November 10, 2016). "Ahmad Khan Rahimi Makes First Manhattan Court Appearance in Chelsea Bombing Case". NBC New York. Retrieved November 10, 2016. ^ "Ahmad Khan Rahimi Indicted In Manhattan Federal Court On Terrorism Charges" (Press release). U.S. Attorney's Office for the Southern District of New York. U.S. Department of Justice. November 16, 2016. Retrieved November 16, 2016. ^ Ax, Joseph (November 17, 2016). "Accused New York City bomber pleads not guilty". Reuters. Retrieved November 17, 2016. ^ "Chelsea Bombing Suspect Ahmad Khan Rahimi Wants Trial Moved to Vermont". NBC 4 New York. April 5, 2017. ^ Victoria Bekiempis, New York judge rejects bid to move Chelsea bombing trial to another state, New York Daily News (May 8, 2017). ^ a b c Michael Wilson, Chelsea Bomb Suspect Guilty in Attack That Sowed Terror Across Region, New York Times (October 16, 2017). ^ Associated Press, Accused bomber Ahmad Khan Rahimi thrown out of court during trial (October 2, 2017). ^ Michael Wilson, Prosecutors Say Chelsea Bombing Suspect Had 'Evil in His Heart', New York Times (October 12, 2017). ^ Michael Wilson, Key Evidence in Chelsea Bombing Trial: Articles on Building Bombs, New York Times (October 3, 2017). ^ Weiser, Benjamin (October 16, 2017). "Convicted Bomber Tried to Radicalize Fellow Inmates, Officials Say". The New York Times. Retrieved February 14, 2018. ^ Fedschun, Travis (February 13, 2018). "Chelsea bomber gets multiple life prison sentences for New York blast that injured 30". Fox News. Retrieved February 14, 2018. ^ ""Chelsea bomber" Ahmad Khan Rahimi gets life in prison for NYC, N.J. blasts". CBS News. February 13, 2018. Retrieved February 14, 2018. ^ Ford, Matt; Calamur, Krishnadev; Koren, Marina; Vasilogambros, Matt (September 19, 2016). "What We Know: The Explosions in New York and New Jersey". The Atlantic. Retrieved September 19, 2016. ^ Remo, Jessica (October 14, 2016). "The case against accused bomber Ahmad Khan Rahimi: Here's what happens next". NJ.com. Retrieved October 19, 2016. ^ "NY, NJ bomb suspect Ahmad Khan Rahimi out of hospital, into prison". WABC Eyewitness News. October 18, 2016. Archived from the original on October 19, 2016. Retrieved October 18, 2016. ^ Weiser, Benjamin; Goldman, Adam (November 10, 2016). "Ahmad Rahami, Manhattan Bombing Suspect, Makes His First Court Appearance". The New York Times. Retrieved November 22, 2016. ^ Iati, Marisa; Remo, Jessica (November 10, 2016). "Bombing suspect Ahmad Khan Rahimi doesn't enter a plea on weapons charges". NJ.com. Retrieved November 22, 2016. ^ "The Latest: Judge Won't Order Federal Arraignment for Rahami". Associated Press. September 22, 2016. Retrieved October 14, 2016. ^ "What Happens When Yelp Restaurant Reviews Turn Political?". NPR.org. Retrieved March 25, 2019. ^ "Yelp reviewers drag chicken restaurant owned by NYC bombing suspect's family". mic.com. Retrieved March 25, 2019.